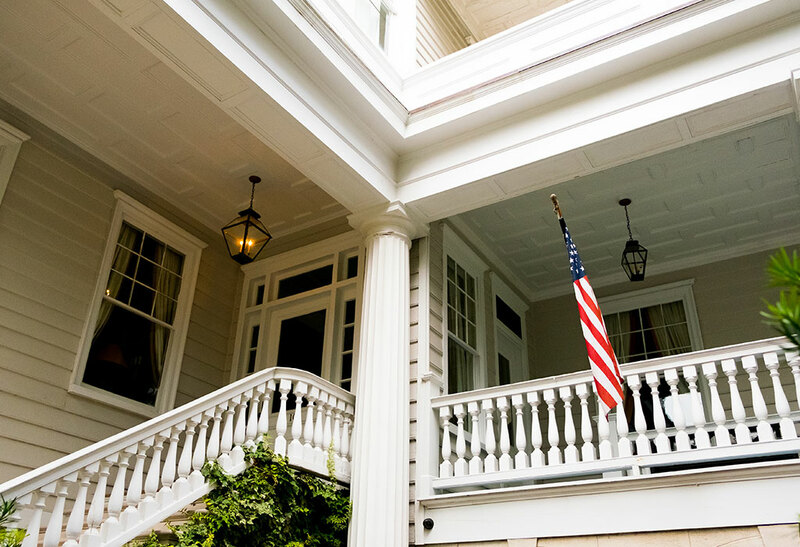 The historic front porch is one of your favorite parts of your home — the regal columns, the intricate wood working, and the feel of storied authenticity. As much you’re excited to update it, you know that restoring historic porches comes with its own set of challenges. At TurnTech, we specialize in custom wood working that accompanies all types of luxury home renovations, including historical home restorations. See some of the custom wood work we perform — and learn more about the must-haves for historic home renovation. Living in a historic home gives you the opportunity to appreciate the time-honored craftsmanship and historical feel that can’t be matched in today’s new builds. 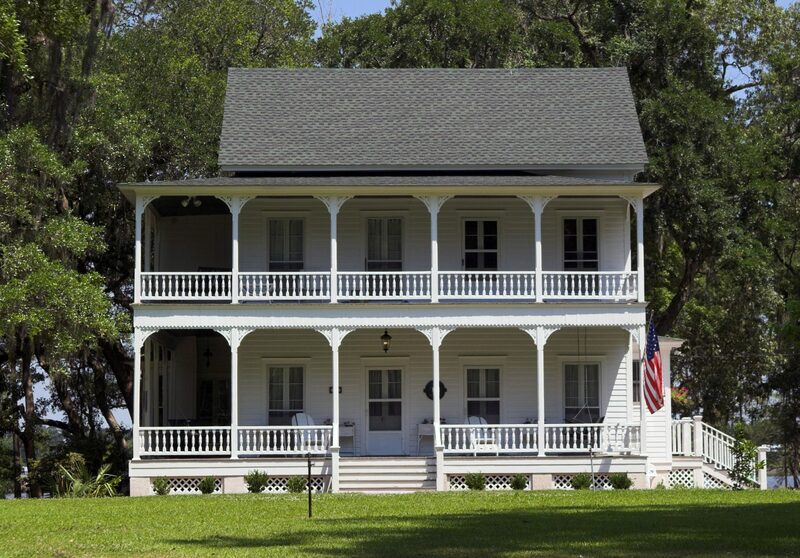 When you’re doing work on your historic home, you feel compelled to preserve the character of the house — and you may even be legally required to do so by the local historical society. The standout feature on almost any ornamental, historic porch. At TurnTech, we are one of the few shops nationwide to craft architectural wooden columns that exactly match the style and custom carving of over a century ago. While Doric and Tuscan style columns are among the most popular we build, we have the skill to mimic almost any column, down to the smallest details. You can send us a picture or CAD drawing of your current columns — this will allow us to replicate it. Highly-detailed porch bracketing is a hallmark of historic wood working. 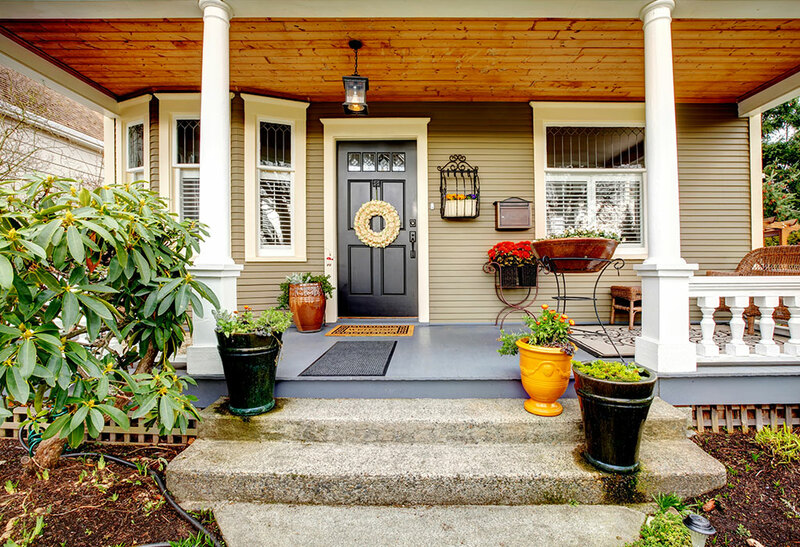 The brackets that connect the columns to the porch roof are an essential part of your home’s façade — losing them would leave your porch feeling plain. At TurnTech, we custom craft intricate bracketing for historic home renovations — and we even perform the most detailed scroll style carving by hand. This allows your porch to have the same intricate that was initially carved decades ago. 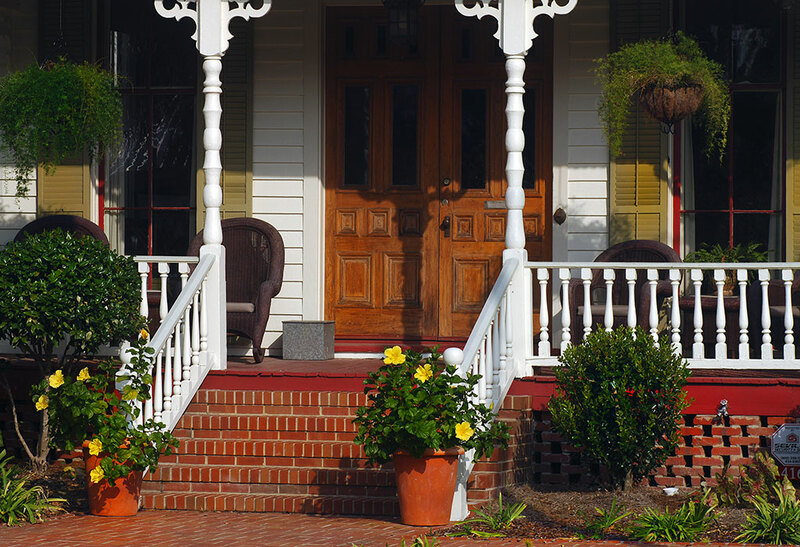 Replacing the wooden handrails that run the length of your porch requires precise skill. The moulding on older handrails was far more intricate than that of today — preserving this detail will allow your historic porch to keep its unique character. In addition, we carve custom tapered spindles that connect to the handrails as well. This allows the smallest details of your porch to replicate what it would have historically looked like. Send us a picture, sample, or CAD drawing and we will mimic it. One of the most ambitious facets of any historic home restoration, matching a beaded tongue and groove ceiling is one of our specialties. We can custom mold the ceiling to match your current one or carve a different but equally accurate ceiling to enhance your design. This is a detail that few people will have the opportunity to appreciate, however, it is an absolute standout facet of a historic home restoration. Nothing quite allows a true historic porch to stand out like a beaded ceiling. 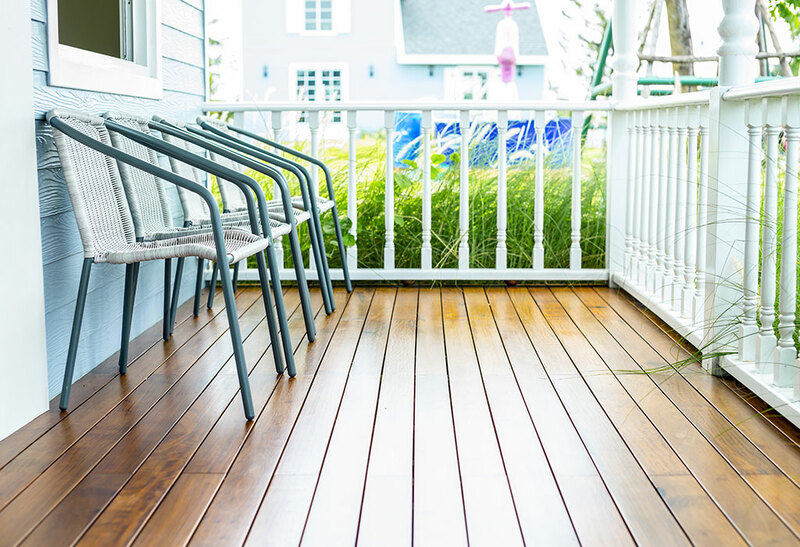 While modern porches are built of vinyl or composite deck boards, your antique floor is made of hardwood — and it’s one of the most beautiful things to see. 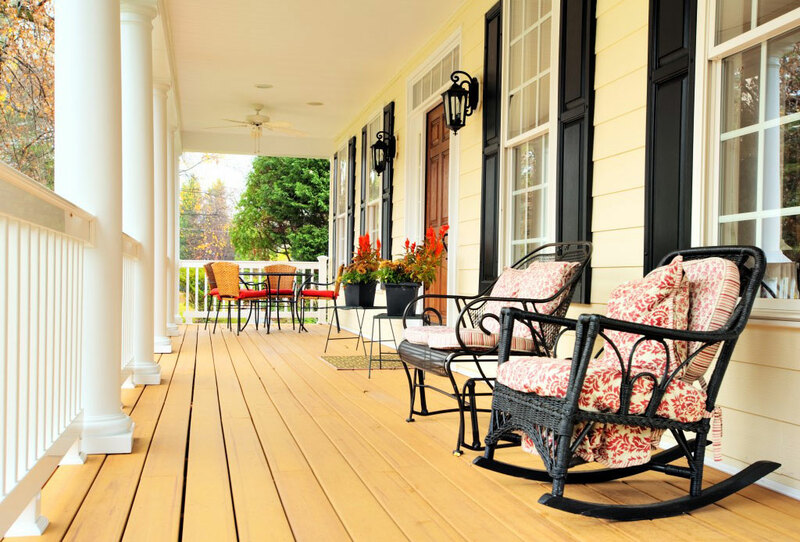 We have experience custom molding the porch floor that fits with your restoration — and can last decades upon decades. As is the case with all of our custom woodwork, we build incredibly high-quality components, out of true American hardwood, that are meant to last for decades — just like those featured on the original porch. The main goal of any historical renovation is to build a space with genuine components and a style that feels authentic to the past. While the wood crafting is a crucial element, there are other things to know if you’re embarking on your first historic home renovation. When building custom pieces for your historic home renovation, you’ll want to use mahogany as your wood species. Mahogany is naturally resistant to the bugs, rot, and mold that tend to limit the lifespan of outdoor wooden projects. In addition, mahogany is a very hard species of wood which makes it ideal for the complex custom carving that we do. Wood can be a very durable and very long-lasting material if you finish it correctly. After all, you’re replacing woodworking that likely lasted for over half a century. To protect the wood accents on historic porches, we recommend adding multiple coats of priming, painting, and sealing before installation. Contact us for more questions on how to protect our wood products. People renovate their antique homes or historic front porches because there is a lot of love and appreciation there. It’s not the easiest thing to do, but it really means something to you. Make sure you work with a contractor who appreciates that and wants to respect the quality of your antique construction. Whether you’ve already found your historic contractor or you’re in the beginning stages of your project, TurnTech would love to be a part of restoring your historic construction. We are one of the only wood shops nationwide that has the ability to custom build all of the wooden components of historic front porches that you’ll need. Contact us to start the conversation – and to arrange sending us a sample of the custom woodwork you’d like to replicate.